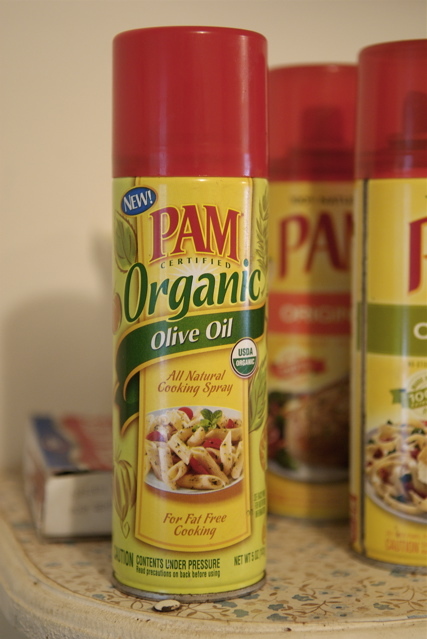 Create Look Enjoy: Organic Pam. Really? I think the title says it all. Please see my previous post comparing organic versus sustainable. The post includes an image of petroleum intensive rows of plastic cups of fruit at a Whole Foods Market. Discussing the image with a friend, he commented: "They are destroying what they are creating." Ingredients: Organic Virgin Olive Oil, Organic Grain Alcohol (Added for Clarity), Lecithin From Soybeans (Prevents Sticking), And Propellant. Nice Juan. Add an "S" you've got Organic Spam! Thanks for sharing this John. I love the evil genius behind this concept. I would like to see all of the products of my 60s childhood reissued in organic form: Koolaid, Crisco, Tang, Rice a Roni, Chef Boyardee, Sara Lee Brownies, Aunt Jemima Syrup...There is so much potential here. p.s. Did you see the Onion article about the new Lucky Charms cereal with less Leprechaun Meat? Uggh but very funny. Mary Ellin - Thanks for continuing the conversation. Speaking of evil geniuses, your thoughts give new legs to the phrase: "Looks like they drank the (organic) Koolaid."